GODEFROY DE LINTOT, JEAN (not “Jean-Baptiste” as he has usually been called by historians on the authority of the 1666 census; “Lintot,” from the name of a small municipality in the district of Caux, and not “Linctot”), interpreter, seigneur, member of the Communauté des Habitants; b. 1607 or 1608, son of Pierre Godefroy, esquire, and of Perrette Cavelier of Lintot, district of Caux in Normandy; d. 1681 at Trois-Rivières. Brother of Thomas Godefroy de Normanville, Jean Godefroy arrived in New France with him about 1626 and served under Champlain in the capacity of interpreter. After the capture of Quebec by the Kirkes in 1629, Jean Godefroy stayed on in the colony, living in the woods with the Indians. Soon after the return of the French, Godefroy settled at Trois-Rivères (1633? ), where he was to spend the rest of his life. 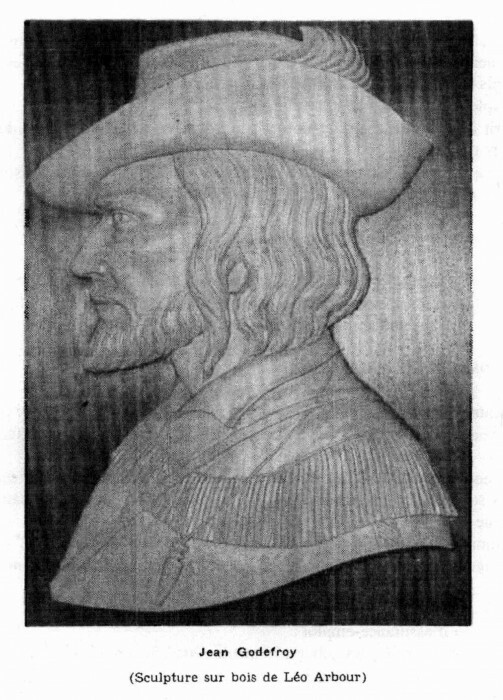 On two occasions in 1636, he is referred to as a “settler at Trois-Rivères,” where he was furthermore granted a seigneury on 1 Dec. 1637. Having become a seigneur-settler, the former interpreter turned to clearing the land, although continuing to trade in furs. 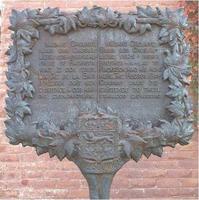 From 1646 on, together with his relative Jean-Paul Godefroy, he was a member of the Communauté des Habitants. Head of the Godefroy de Tonnancour family, Jean Godefroy had married, probably towards the end of 1636 (the private marriage contract is dated 15 December), Marie Leneuf, daughter of Mathieu Leneuf, Sieur du Hérisson, and of Jeanne Le Marchant of Caen, Normandy, and sister of Michel Leneuf. Out of this marriage there were born between 1637 and 1658 11 children, of whom 8 were sons who almost all distinguished themselves in the service of New France. Jean Godefroy’s worth was recognized by Intendant Talon, who in 1668 obtained letters of nobility for the former intepreter and his family; unfortunately, because of an administrative error, these letters could not be registered within the required time and were, theoretically, cancelled. In practice, however, the intendants Duchesneau and de Meulles*, in 1681 and 1685, as well as the king himself, in 1718, officially recognized the Godefroy arms. Participation in the fur trade and the cultivation of his seigneury had not brought wealth to Godefroy. In 1672 the governor, Buade de Frontenac commended him to the king’s generosity, as “one of the first to have come to this colony . . . , burdened with a very large family, having several daughters and six sons [two others having died, one sometime before 1655, the other in 1661], all of whom are courageous men who are the first to offer to go on any expedition . . . , there being no better canoemen in the whole colony”; the Sieur Godefroy however “is not too comfortably off, [having] a daughter whom he cannot marry because he has nothing to give her as a dowry.” The king turned a deaf ear to this request. Godefroy lived on his lands until 1681, dying shortly after 8 July of that year. His wife died at Trois-Rivières on 27 Oct. 1688. ASQ, Documents Faribault, passim. 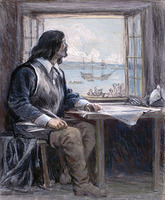 Correspondance de Frontenac (1672–82), APQ Rapport, 1926–27, 17. Correspondance de Talon, APQ Rapport, 1930–31, 88. Lettres de noblesse (P.-G. Roy), I, 197–213. Ord. comm. (P.-G. Roy), I, 293f. Papier terrier de la Cie des I.O. (P.-G. Roy), 286–89. P.-G. Roy, La famille Godefroy de Tonnancour (Lévis, 1904), 7–10. Benjamin Sulte, “Un mariage d’autrefois,” Revue de Montréal, IV (1880), 357–62; Mélanges historiques (Malchelosse), XI. Roy and Sulte state that Jean Godefroy was a member of the Conseil de la Nouvelle-France. Both have confused Godefroy de Lintot with his relative Jean-Paul Godefroy. André Vachon, “GODEFROY DE LINTOT, JEAN,” in Dictionary of Canadian Biography, vol. 1, University of Toronto/Université Laval, 2003–, accessed April 19, 2019, http://www.biographi.ca/en/bio/godefroy_de_lintot_jean_1E.html.